Dr. Elwood Dunn was the 2012 National Independence Day Orator and challenged the government and people of Liberia to rethink and debate the appropriateness of the national symbols, notably the nation’s seal, motto and flag. 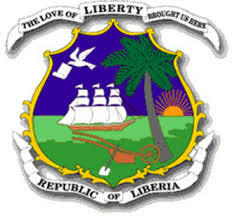 As we all know, the national motto, the seal and the flag refer to a divided people: those who created the Republic and their descendants versus the majority of the population, belonging to one of the sixteen tribes that already lived in the region known to the outside world as ‘Pepper Coast’ – before the arrival of the first immigrants in 1821. Early 2012 another well-known Liberian scholar and politician, Dr. Togba Nah-Tipoteh, in his function as National Vision 2030 Steering Committee Chairman, kicked off a national debate on Liberia’s new development agenda for the next 18 years. Among the issues raised by participants were suggestions to change the national motto ‘The Love Of Liberty Brought Us Here’ to ‘The Love Of Liberty Unites Us’ and to replace the national seal. 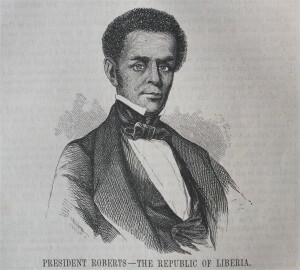 A few years earlier – in 2009 – the Truth and Reconciliation Commission in its final report had identified the political, social and economic exclusion of the majority of the Liberian population by the Americo-Liberian creators of the republic and their descendants as one of the root causes of the civil conflict (1989 – 2003). What happened since to the national debate on the national symbols? March 15 of this year was the 206th birth anniversary of Liberia’s first President, Joseph Jenkins Roberts. Long ago, by an Act of the Legislature, March 15 of every year was declared a National Holiday, and 2015 became no exception. Thus, on March 12 President Sirleaf issued a Proclamation declaring March 15 as a National Holiday ‘as a mark of respect and reverence to his memory and for his untiring efforts in organizing the first Government of the Republic’. I wrote before on this theme. See my August 31, 2012 posting ‘Vision 2013 and the National Symbols’. I will soon come back and write more on this important but neglected topic. Meanwhile I have the pleasure to invite readers to express their thoughts and to share any suggestions they may have. 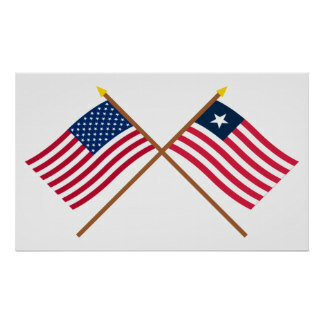 This entry was posted in Americo-Liberians, Civil War(s) Liberia, Ellen Johnson Sirleaf, Elwood Dunn, Governance Commission, Independence Day Orator, JJ Roberts, Liberian History, National flag, National Motto, National Seal, National Symbols, Pepper Coast, Tipoteh, Truth and Reconciliation Committee (TRC), Vision 2030. Bookmark the permalink.